Liver disease in cats is a serious condtion. All liver problems in cats are though not the same. There are number of liver conditions that cats can suffer from. Some are more serious than others but all have one thing in common. Early detection of any liver issue affects how easy it is to treat or manage it. So what are the most common liver problems in cats and what can you do about them? And what kind of diet should you be feeding your cat that has liver disease? How does the liver in cats work? The liver is one of the most important organs and it can have serious consequences if the liver is not working as it should. The liver plays a vital role in digesting nutrients and detoxifying chemicals and is an essential part of the immune system. It is involved in building and breaking down fats, carbohydrates, and proteins. The liver also plays an important role in the production of red blood cells and is responsible for storing vitamins and minerals. What causes liver failure in cats? There are many possible causes for liver problems in cats. If you at any time suspect your cat may have liver disease you should see your Vet as soon as possible. Early diagnosis and treatment can mean all the difference for your cat. Diet plays an important role in maintaining good liver health. It is also important in helping pets to recover from all forms of liver diseases. Some dietary adjustments and nutritional supplements are generally recommended for pets suffering from liver diseases. 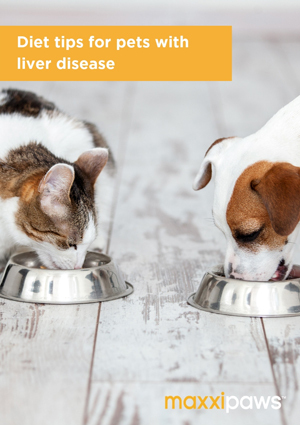 These tips contain some general dietary advice for pets with liver disease but always consult with your Vet about the appropriate diet for your pet's specific liver condition. The prognosis depends on the severity and length of time of liver pathology. For formal diagnosis, your Vet will take blood tests and most likely do an X-ray or ultrasound to get a better picture of what is going on in your cat's liver. -	Hepatic function panel is a group of tests used to screen for, detect, evaluate and monitor acute and chronic liver inflammation (feline hepatitis), liver disease and / or liver damage. High liver enzymes in cats do not automatically mean your cat has liver disease. The first step is to try to rule out any non-liver related diseases that may have caused the abnormal values. For definitive diagnosis, the Vet is likely to take a biopsy, i.e. remove small tissue sample for testing. What is the life expectancy for cats with liver disease? The liver has amazing healing capacities so most feline liver disease can be successfully treated. Unfortunately, some types of liver disease in cats are incurable, but with supportive care, the patient may still be able to live a comfortable, though shortened, life. As cats grow older, they can face many of the same age-related health conditions as humans. Our unique stabilized SAM-e powder boosts liver and cognitive functions while easing joint discomfort and improves mood at the same time. 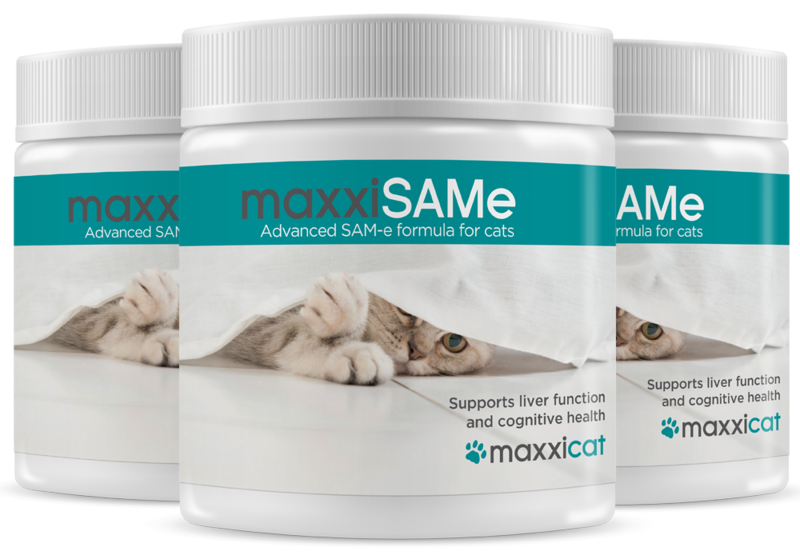 While maxxiSAMe is hard at work within your beloved cat’s liver and brain, expect marked improvements in attitude, energy, and the behavior of your cat.